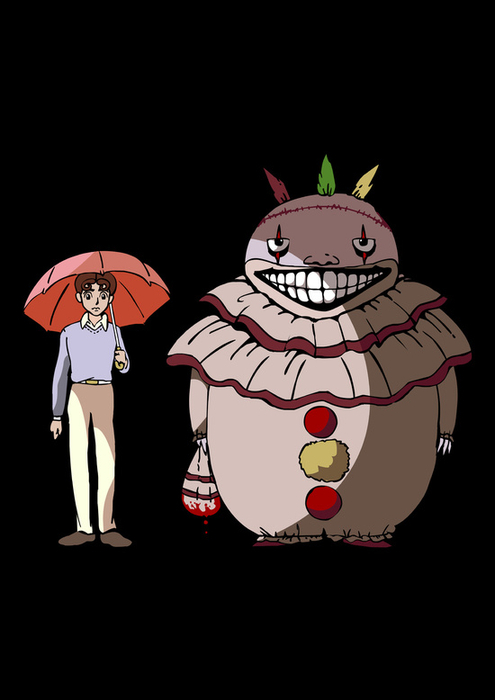 What if Twisty and Dandy were anime characters? This print is a mashup between AHS Freak Show and My Neighbor Totoro. Dandy loves the performers of Elsa Mars' freak show and aspires to join the troupe. After being denied, his mother hires a twisted clown for his amusement, and he becomes the serial killer's self-appointed protégé.